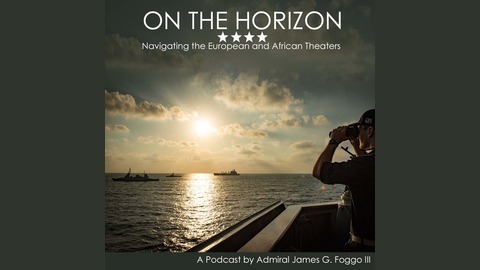 “On the Horizon: Navigating the European and African Theaters,” Adm. James G. Foggo III, commander, U.S. Naval Forces Europe-Africa (CNE-CNA) and NATO Allied Joint Forces Command Naples outlined what the U.S. Navy is doing in and around the European and African Theaters. 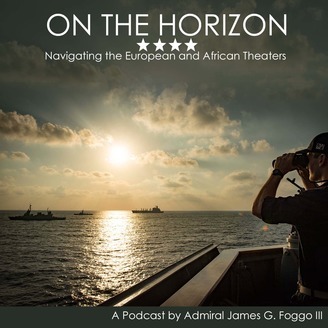 In this episode of "On the Horizon: Navigating the European and African Theaters," Admiral Foggo discusses his recent trip to Africa, exercises Cutlass Express, Obangame Express, and Phoenix Express. And what he sees as Africa's biggest threat to their maritime security. In addition, he goes into what the U.S. Navy and U.S. Coast Guard is doing in Africa in support of U.S. and NATO African partners. And lastly, Admiral Foggo talks about two experieces that he will never forget.